Containing up to 35 percent complete protein, 22 amino acids, B vitamins, and 27 mineral salts and called “the nectar of the gods” by the Greeks, bee pollen is a key source of essential nutrients. 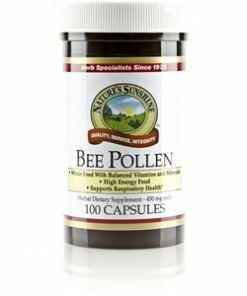 Nature’s Sunshine’s Bee Pollen, formed when bees forage, pollen and nectar combining on their legs, preserves vital nutritional substances through a natural drying process. 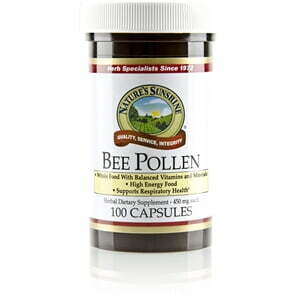 Each bee pollen capsule is 450 mg of rich nutrients.